Yes, at CablesAndKits your dollar goes further with 40-60% discounts on physical IT infrastructure products like switches, routers, IP phones & transceiver modules. But, the savings don’t stop with our listed pricing. There are actually 14 other ways you can save even more of your precious dollars when you shop with CK. Below, we’ll walk you through your price saving options. If you’re not on our mailing list, you’re missing out. In our “Get More. 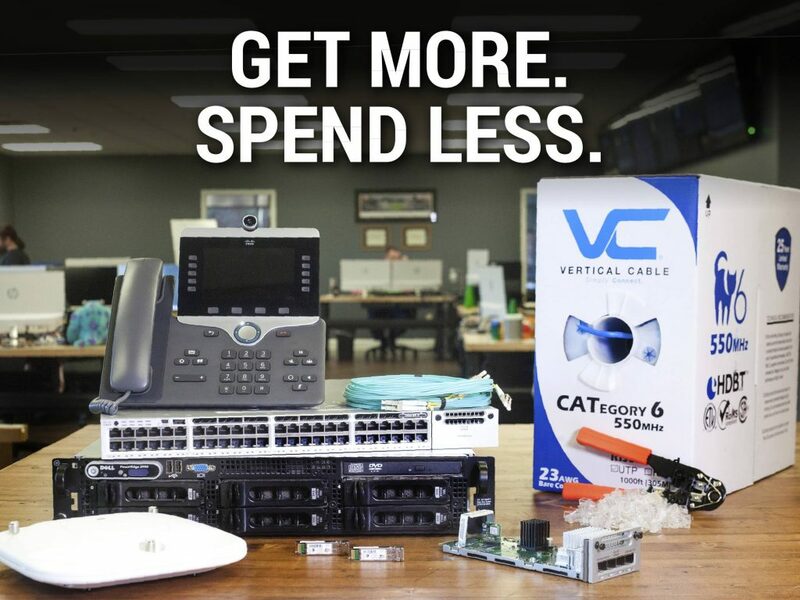 Spend Less.” marketing campaign, we’ve sent out coupons for switches, transceiver modules, and cabling. We recommend you stock these coupons up for easy access when you checkout on your next order. Follow us on social media on Facebook, Twitter, Linkedin & Youtube. Filed Under: Get More. Spend Less. Tagged With: Get More. Spend Less.